I love this station--it is easy to make--and students can work together to solve the problem. Each cup as the answer, and each stick has the addition problem. They loved it! Now for the giveaway. I have reached over 100 followers--so I decided to be generous! I noticed a lot of teachers would love their own laminator! I would love my own laminator, and I don't even have a classroom. 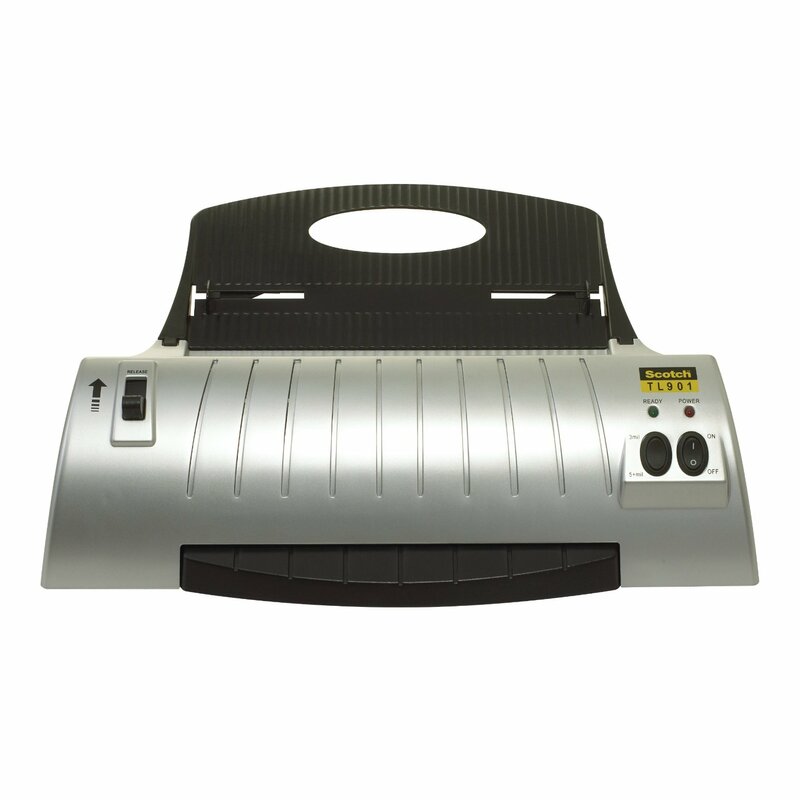 This is Scotch's Thermal Laminator. It comes with 20 sheets. I will order it through Amazon. 1. Become a follower--make a comment! 2. Like my facebook page--make a comment! Estimate how many lego minifigures are in this jar--and comment. You can have your entire household or classroom estimate--just put each estimation as a different comment for individual entries. The closest entry will get 10 extra entries for the giveaway! The giveaway ends August 22--our first day of school! What a fun math game, thanks for sharing. This is fun. I say 124. I liked your fb page. I'm going 19 on the Lego folks...they may be small, but they take up a ton of room! 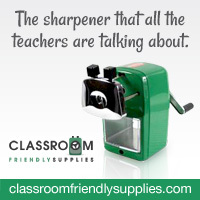 I WANT that laminator -- I even blogged about it! I think there are 22 items in the jar. That is such a good idea!! I will not enter because I already have a laminstor and I am already a follower!! I'm going to guess there are 62! I follow your blog. My guess is 67. I followed all of the directions I hope :) Great idea for a giveaway! Pick me, pick me! :) I guess 40 Legos! I estimate 17 mini figures! I follow your facebook page, too! I am your newest follower. I would love to win the laminator. I would love to win the laminator! Thanks for commenting on my Monday Made It! Ethan's guess is 30 and your facebook page is great! I would love a laminator to keep in my classroom! I am a new follower of your blog, thanks for following mine! I'm going to say 22! This seems to be a magic number! Love the math sticks! I'm sure my kids will find it more interesting than a worksheet (ugggh)! I'm now a follower! Thanks for the comment on my blog. I actually started out as an aide for special needs students and that's where my heart is. Now that I've been on that side I'm able to see more of what some classroom teachers never experience. Love it! Thanks for letting me know about the giveaway. I could really use a laminator! I have been following for a while and would love a laminator! I think there are 24 lego mini figures in the jar. I am a follower and I am guessing 33 lego figurines!! 26 legos in the jar! I'm having a MEGA giveaway!!! I liked your FB page and I am also now a follower on this Blog. Thanks. I guess 27 legos. I'm going to say 28 mini figures! Thanks for stopping by my blog! I am your newest follower :)! Can't wait to check out all your goodness! I am guessing 38 Lego figures! Happy Tuesday! What an awesome giveaway! I like the estimation jar idea too. Thanks for stopping by my blog. I am your newest follower too. I am guessing 34 legos. Thanks for following me! I'm your newest follower. I love my laminator, it has gotten a work out this summer! I am also going to use your estimation jar idea (with lego figures) in my room this year! I think there are 21 figures in the jar! 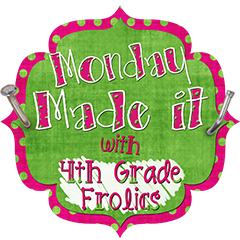 I have already been following your blog for awhile :) A laminator would be AWESOME!! Congrats on 100 followers! I'm going to guess.....21 legos in the jar! I'm a new follower. Thanks for heading over to my blog! I am going to guess 27 Lego dudes! I'm a follower and I would love to win the laminator! I'm guessing 17 Lego guys! I like you here. I like you there. I like you, like you anywhere! I also like you on facebook! I love the laminator! I want one soooo badly. I'm a new follower. Thanks for stopping by my blog! I would LOVE a laminator! I'm a new follower! Thanks for letting me know about your giveaway! AND....I think there's 77 Legos in there! I'm guessing 27 lego figures. Hi I am your newest follower! I am guessing 21 legos. Hi, I just started following you and I think there are 22 legos in the jar! I guess 32. It's my favorite number. I'm such a terrible guesser. I'm going to guess 24 legos. I liked you on facebook & commented over there too! I just became a follower! Loving your site, and what a GREAT idea for a giveaway! I also am going to guess 30 legos! We'll see!! I am guessing 25 legos. Ohhhhh a laminator! I would guess 22 legos in the jar. I also liked / commented on your fb page. Thank you for the invitation to your blog. Maybe 18 Legos? I am guessing 21 Lego pieces! I am your newest follower! Thanks for the well wishes on making it to 100 followers! I'm your newest follower! Love the math game. My estimation for the legos is 32. Keeping my fingers crossed for the laminator...I REALLY need one! THanks for finding my blog! I'm your newest follower! Hmmmm.....I think their are 27 Lego people in the jar. okie dokes! liked and followed your blog! I think there are.... about 24 lego pieces in the jar. My furry children are telling me to say 49 lego pieces. If we are talking about the pieces that have heads, I will think out loud and say sweet 16. Thanks for visiting my site, I am your newest follower~ I hope, if I did this right. I also think there are 41 legos in the jar. Yay...I love finding new blogs and I love giveaways!!! I know I already have a laminator but I could have 1 for school and 1 for home. That would be awesome!!!! My estimation is 33 legos and I liked your FB page and I am a new follower. So excited! What a fun center idea! Umm, I'd say 112 legos! I guess 28 Lego guys! Oh, and now I like your FB page! Maybe I should start a FB page for my blog? But I only have like 40-something followers...maybe I'll wait till more people care, lol! Congrats on all your followers, btw! I am your newest follower. What a great giveaway :) I'm going to go with 45. I liked your fb page! And I am going to go with 27 legos!